Category: NDS, PC, PS, PS2, Wii, XBOX 360. Tags: Dressage, Equestrian, Grooming, Riding, Take care of horses. 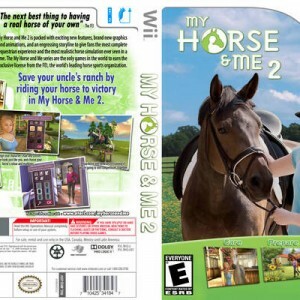 My Horse and Me 2 (US) or My Horse and Me: Riding for Gold, as it is called in the UK is for you who is looking for a real-life equestrian experience complete with simulations of horses and people. 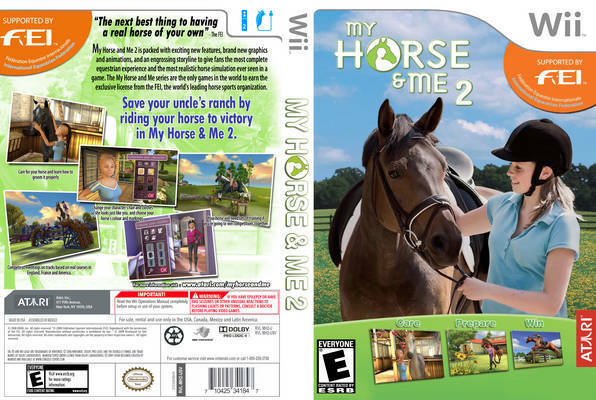 The game has a most fascinating story line that will grab the attention of the greatest of horse lovers. You can develop a close with your horse by being able to groom and care for it. You can feed it and hose it down and get involved in many other care-taking activities. You can have your horse checked by a veterinarian so that it is fit and trim and ready to compete. The stronger the bond, the greater are the chances of reaching the top. Players of the game can also train for competitions and take part in them around the globe. 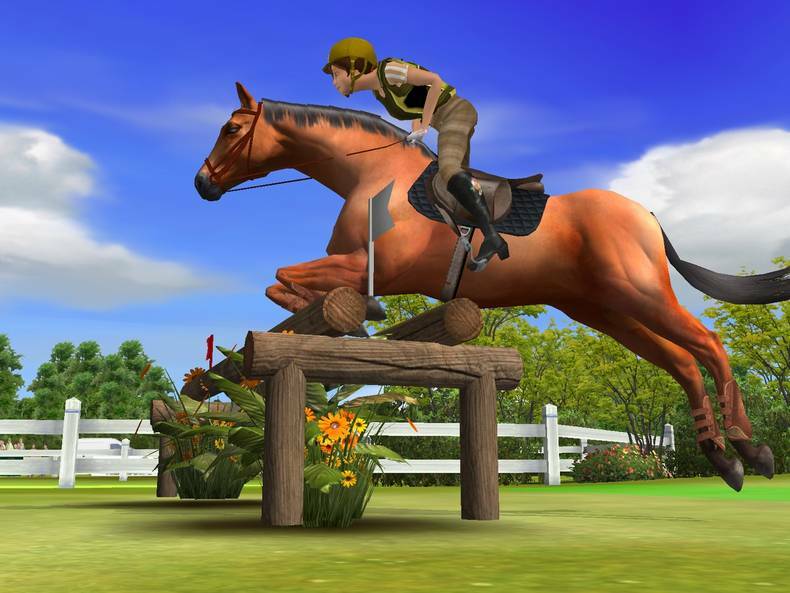 These competitions can be dressage, cross country and jumping and many others. You can also ride your horse just for fun and leisure. 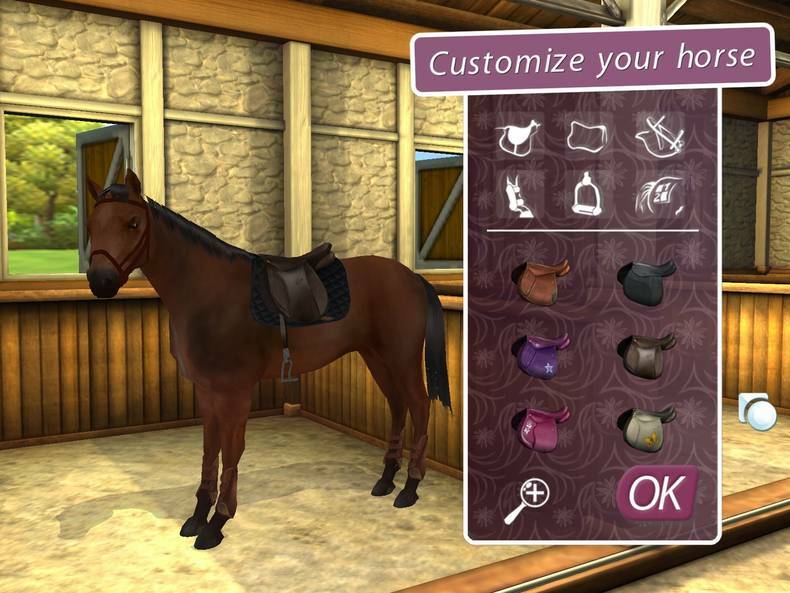 You can customize your horse in their body color, color of mane and other features. Players can also be customized with special riding equipment, accessories and outfit. Well i want this game but I’m not sure it comes in xbox does it? Nice game with decent gameplay and lovely graphics. Stars were taken off because there are very few choices for horse coat (white grey, dapple grey, wild bay, sooty palomino, brown pinto, and black) and mane/tail (flaxen, white, taupe, grey, light brown, and black). And while it sounds great to be supported by a huge thing such as FEI, I avoid watching the bonus videos now because they all depict horses ridden behind the vertical, which is a forced headset that causes discomfort, pain, inability to swallow and/or breathe, and skeletal injury (not to mention the horse can’t see where it’s going and is completely unbalanced despite its deceptive appearance). The most extreme version of this is called Rollkur (which IS banned by the FEI, although the “milder” variations are really no less abusive and harmful).